So after a month long voting you guys have put your votes where your mouth is and here they are the top 30 black superheroes Fan Edition your response to my own list Top 30 Black Superheroes-Traffic edition. 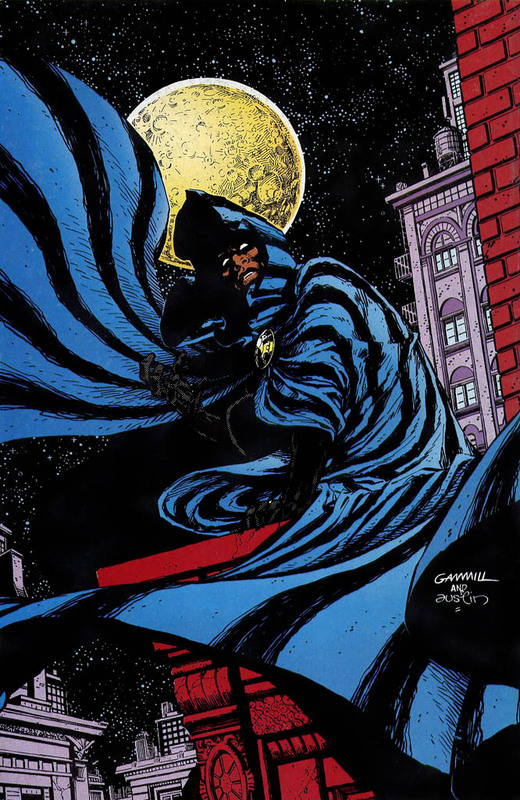 What makes this one unique is that you nominated and voted on over fifty black superheroes. I may even show you the top fifty black superheroes as voted by you but work has me by the balls and I really don’t have that amount of time on my hands. I must add though that the voting was overwhelming, with easily over ten thousand votes cast (oh yeah). So without any further delay here your top thirty black superheroes! T’Challa the Black Panther is the super genius warrior king of the African nation of Wakanda, the most technologically advanced nation on Earth. He is one of the smartest men in the Marvel Universe, a former Avenger, and Storm‘s ex-husband. Black Panther was the first mainstream black Marvel superhero and is currently the “King of the dead”. 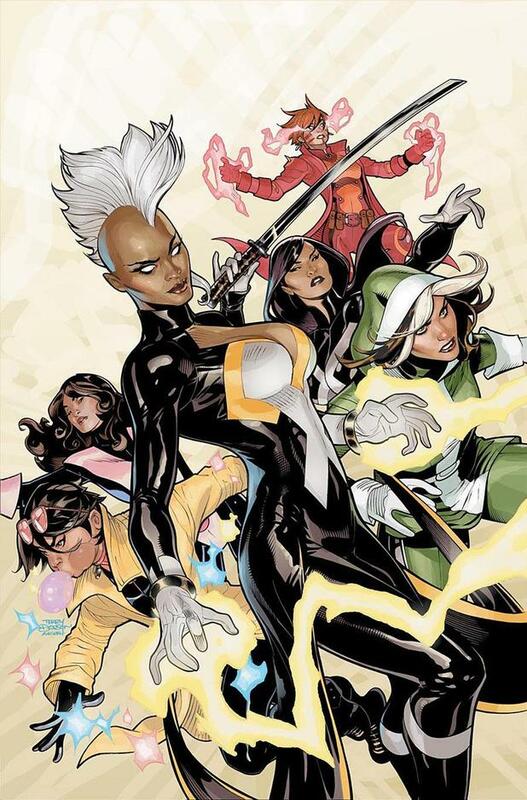 Ororo Monroe/Storm is a mutant with the ability to perceive and manipulate the forces and elements that govern weather. She’s a mainstay and veteran member of the X-Men, tactical field leader, Avenger, African Goddess, Thief, former member of the Fantastic Four, Headmistress of the Jean Grey School, and the former Queen of Wakanda. John Stewart is an architect/Marine who was originally selected by the Guardians to be Hal Jordan’s back up as Green Lantern. 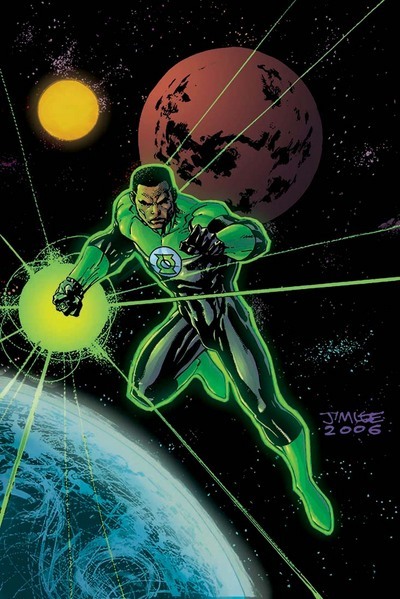 John is currently one of the Lanterns guarding sector 2814 and member of the Honor Guard and one half of the latest black power couple alongside Fatality/Yrra Cynril. He’s also noteworthy for being a planet destroyer as a result of destroying both Fatality’s planet and Mogo the living planet. Luke Cage, wrongly convicted and unjustly imprisoned, was altered in a failed prison experiment that granted him bulletproof skin and super-human strength. Recently he has been a member of and led Earths Mightiest Heroes; The Avengers as well as the Thunderbolts program for reformed villains. With his street smarts and unending determination to do right, he fights for the common man! Al Simmons was a highly trained assassin who was killed by his best friend and sent to hell. There he made a deal with the devil and was reborn as a soldier in hells army, a hell Spawn. 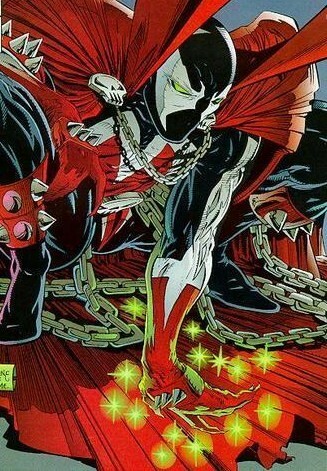 In his long history Spawn has been an Angel, the ruler of hell and even the bringer of Armageddon. Virgil “Static” Hawkins was exposed to a mutagenic gas that swept his city of Dakota, which gave him and other ‘bang babies’ superpowers. 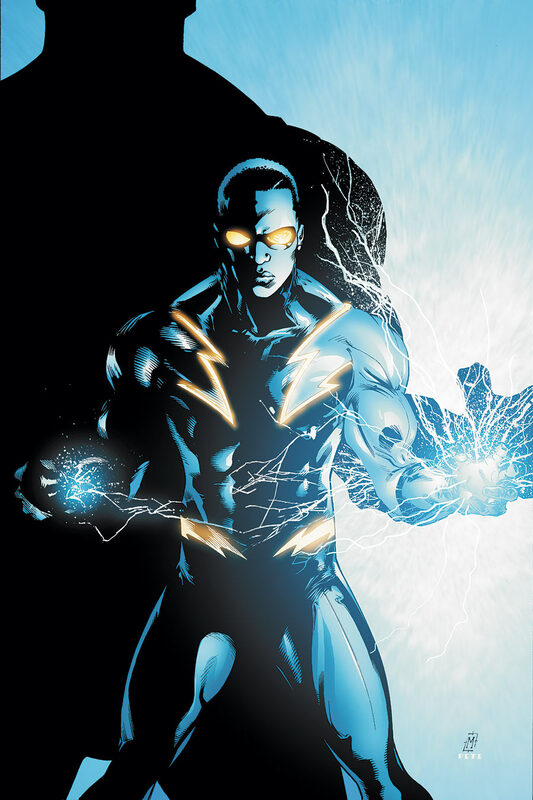 With the ability to control electromagnetism, Static joined the Teen Titans and continued to protect his city while serving on the team. During DC Comics new 52 he moved to New York and starred in his own ongoing title which was among the first wave of cancellations. Arnus is an alien who crash landed on earth during slavery and took on the appearance of a black human. He is equal in power to DC Comics Superman. As Augustus Freeman he was a lawyer who later becomes Dakota’s premier superhero after a chance encounter with Raquel Irvin/Rocket. After the merger of DC and Milestone he was shown to be friends with Superman. Blade is half human and half vampire, thus possessing all the strengths but none of the weaknesses of a traditional vampire. He has dedicated his life to destroying the occult world of vampires and all who associate with them. Blade is most popular for his portrayal by Wesley Snipes in the Blade Trilogy set of movies and for kick starting the modern Superhero movie genre back in 1999. James Rhodes was a soldier in the United States Army who has served as a stand in replacement for Tony Stark as Iron Man. 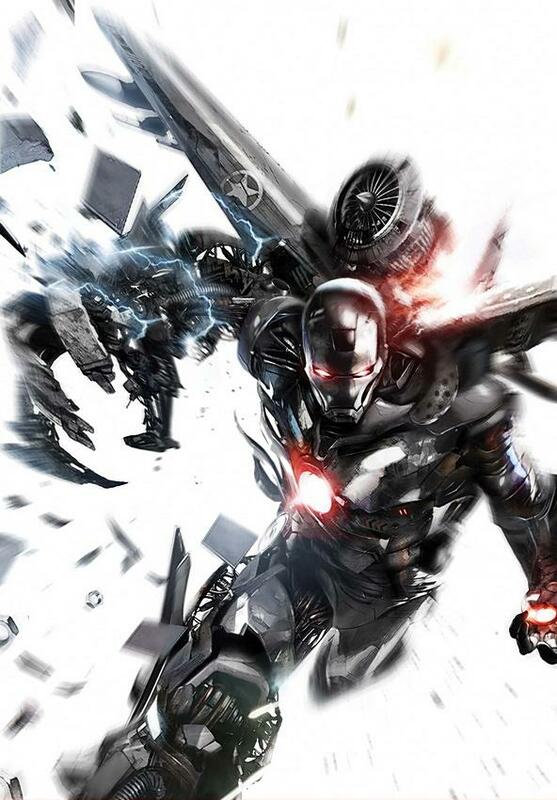 Rhodey grew into his own character over the years though becoming War Machine whose armor dwarfs Iron Man’s in sheer destructive force. Appearances in the Iron Man movie franchise later gave him mass appeal. 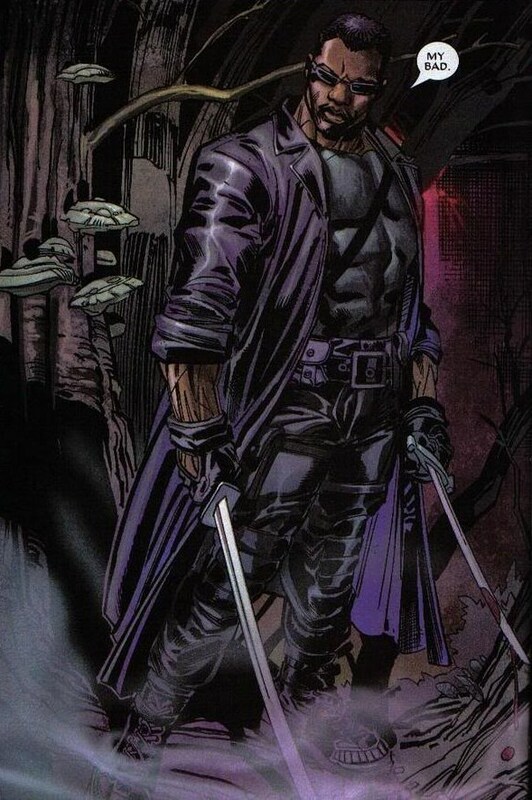 Lucas Bishop is a mutant from the 22nd century that traveled into the past, becoming a temporary member of the X-Men. He has the power to channel kinetic energy, releasing it generally through beams of energy. In recent years Bishop betrayed the X-men to kill the mutant messiah Hope Summers and was left stranded in the future. 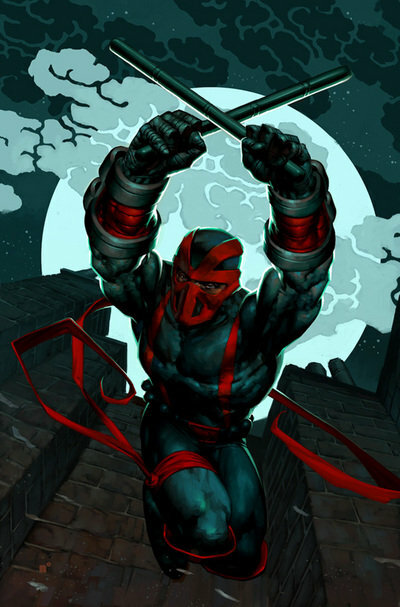 In 2013 he returned to the present in the pages of Uncanny X-force. Jefferson Michael Pierce is a teacher and Olympic medal winning decathlete, metahuman able to control and manipulate electricity. He is popularly regarded by his superhuman peers as the first black Superhero. Over the course of his career he’s been a founding member of the outsiders, secretary of education for the United States and also had two daughters who continue his heroic legacy as Thunder and Lightning. 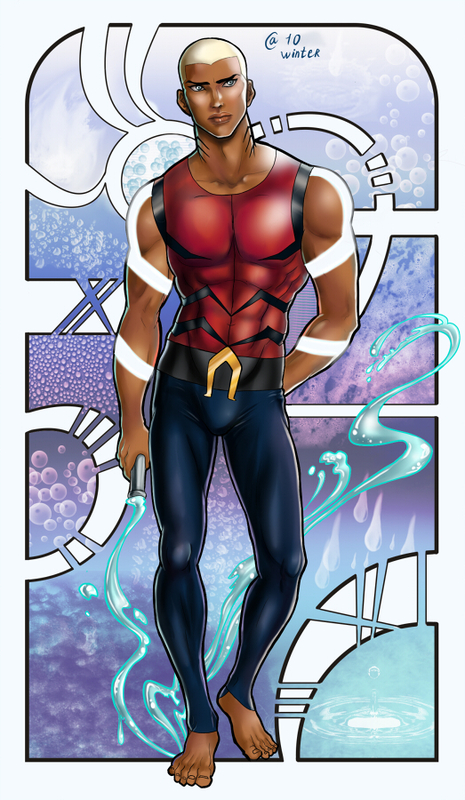 Kaldur’ahm(Jackson Hyde) is the son of Black Manta and the successor to the first Aqualad who became Tempest. Despite his father’s villainy Kaldur has chosen the life of the hero. Due to biological experimentation conducted by Atlantean outlaws, Kaldurhas the unique ability to construct solid objects from water, and when in contact with water he develops webbed hands and gills so he can breathe underwater. Though he was created for the now cancelled Cartoon Network show ‘Young Justice’ he was later brought into comics by Geoff Johns in Brightest Day #4 but has not been seen in the new 52 relaunch. 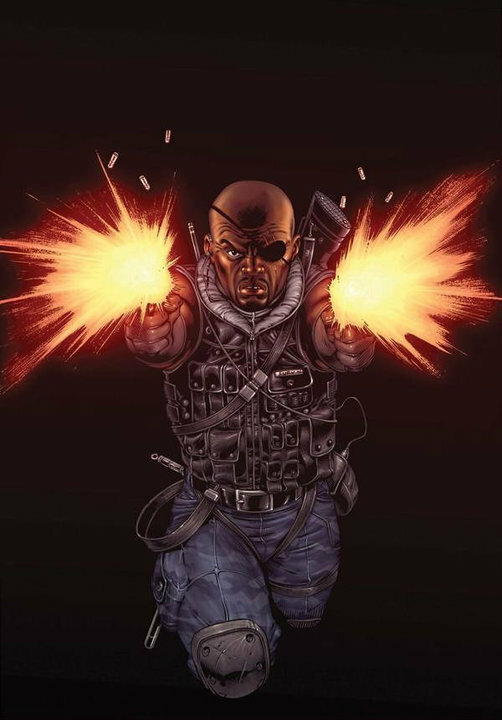 This version of Nick was molded off the likeness of Samuel Jackson who incidentally plays him on the big screen in blockbuster movies such as the Iron Man films and the Joss Whedon’s Avengers film. Arguably more popular than the white original version of the character this one was one of the very first super soldiers who rose to the rank of director of SHEILD. He has recently become the benefactor of New Ultimate Spider-Man Miles Morales. 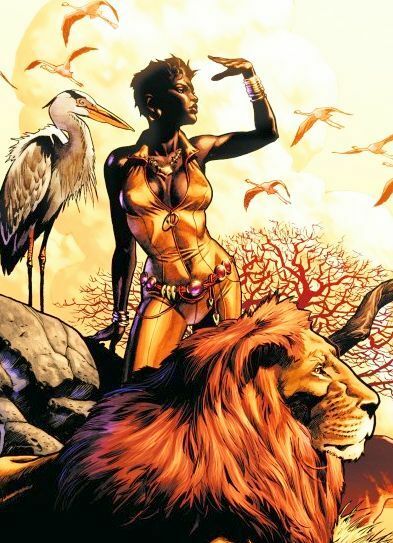 The African born Vixen carries a magical Tantu totem that augments her animal mimicking abilities. She has been a JLA and Suicide Squad member, a model and successful business woman. She enjoys mainstream popularity through appearances on the Justice League animated series. 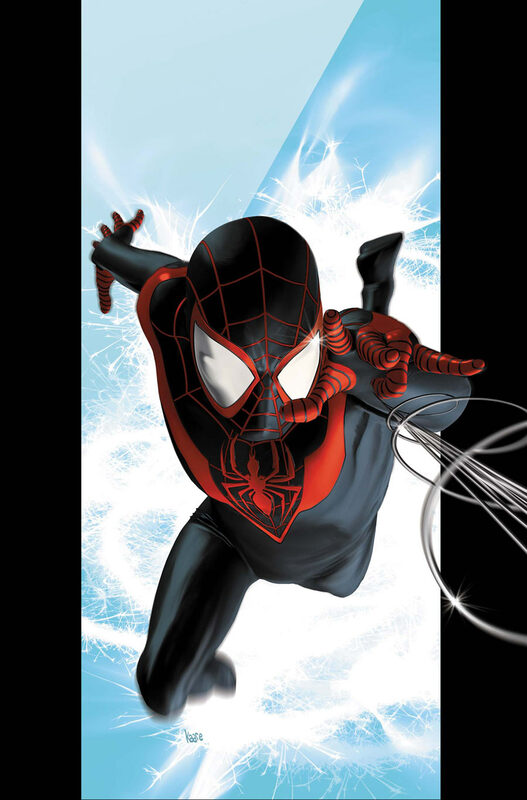 Miles Morales is the ½ Latino ½ Black New Ultimate Spider-man who made his debut in 2011’s Ultimate Fallout after the death of Ultimate Peter Parker. Miles lives with his parents in New York and has a villainous uncle named Aaron/Prowler. Like Peter before him he’s bitten by a radioactive spider from Oscorp which endows him with incredible powers. With this power Miles tries to emulate the late Peter Parker while balancing school, family life and the whirlwind of adventure that has become his life. 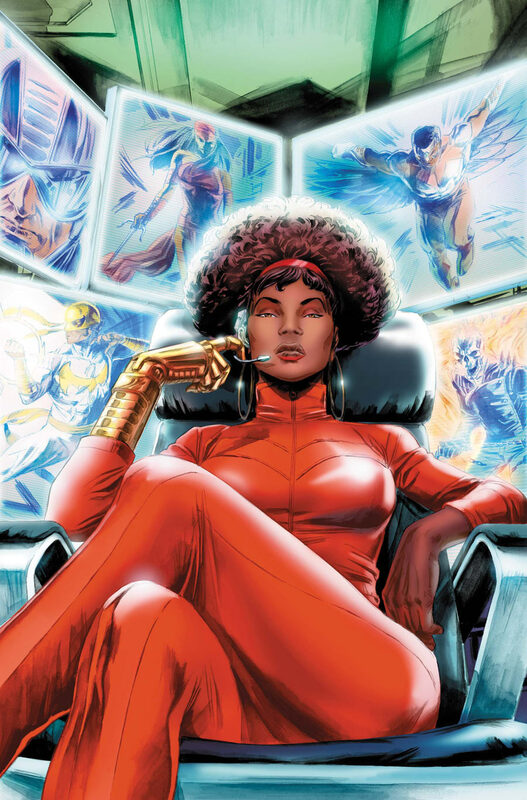 Misty knight is the super bad, super foxy 70’s style kung fu bionic detective. Misty is well known for dating Iron Fist Danny Rand and being partners with red haired samurai Colleen Wing. Recently she joined the Fearless defenders partnered with Valkyrie after restarting the heroes for hire business under the alias of control. 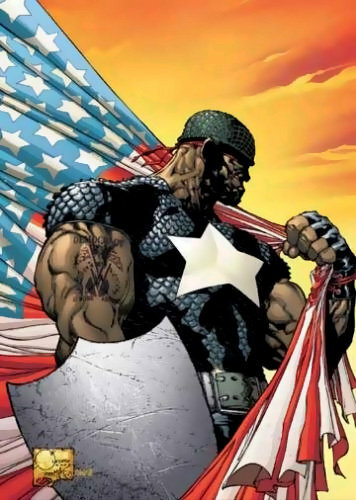 Empowered by evil, inspired by good, Sam Wilson‘s bleak outlook on life was wiped away the day he met Captain America. He uses his winged costume, combat prowess, and avian telepathy as the Falcon, defender of Harlem. 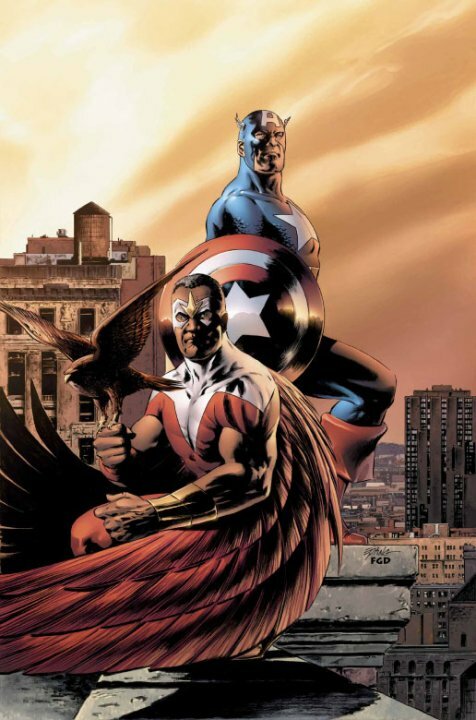 The Falcon is set to make his big screen debut in “Captain America: The Winter Soldier” portrayed by Anthony Mackie. Raquel Ervin is an outspoken young black woman who is the fist teenage mother in comics, the woman who inspired Augustus Freeman into becoming Icon and later becomes his partner. As the superhero Rocket, Raquel uses an inertia belt which allows her to fly, re-channel kinetic energy and even form shields. 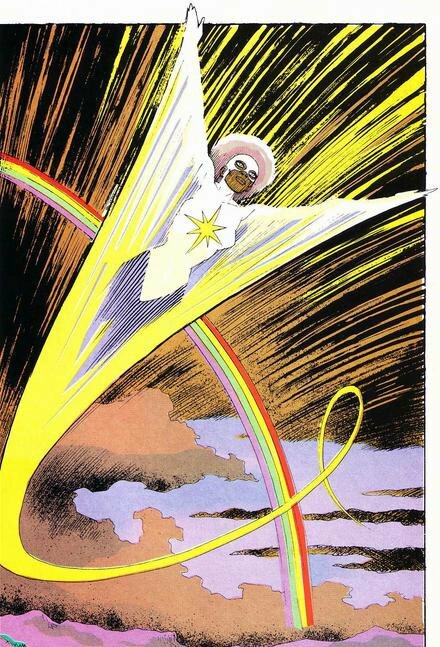 Monica Rambeau has gone by many code names in her long superhero career: Captain Marvel, Photon, Pulsar etc. She has been a member of and lead Earths Mightiest heroes, The Avengers, dated black superhero Brother Voodoo when he was sorcerer supreme and was considered a sun goddess by the Black Panther. 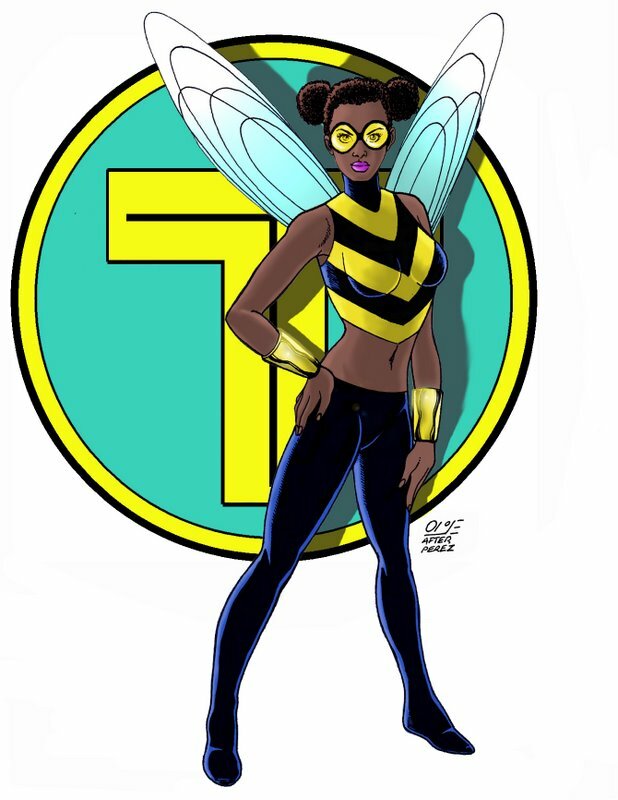 She recently led the Nextwave team and during marvel now will join fellow black superheroes Luke Cage, Power Man, Blue Marvel and White Tiger as a member of the Mighty Avengers under new codename, Spectrum. 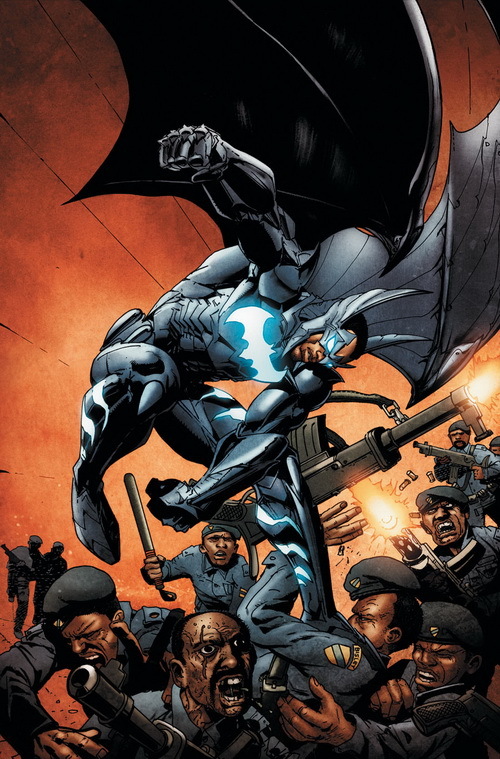 An African orphan and former child soldier chosen by Batman himself to represent Batman incorporated as the Batman of Africa. Batwing fought evil not just as a superhero but every day as the only non corrupt police officer in his precinct. In his fight on crime he had a powerful suit of armor which augmented his strength and granted fight. He eventually walked away from the Batwing mantle though he plans to continue his war on crime. Tyrone Johnson began his life as a cowardly Stutterer who was unable to save his best friend’s life. As a runaway he bonded with Tandy Bowen and together they were captured and subjected to experimentation. The Chemicals mutated them and granted her the powers of light and him access to the darkforce dimension which allowed him to teleport and ensnare others. He recently served as a member of the Dark X-men and the Utopia based X-men before getting entangled in the Spider-Island incident. Dwayne Taylor’s became an orphan when his parents were killed in front of him while he was quite young. This traumatic experience filled him with a righteous rage which was supported by his handlers Tai and Chord. He grew into a brilliant man who lead his family’s company by day and fought crime by night. 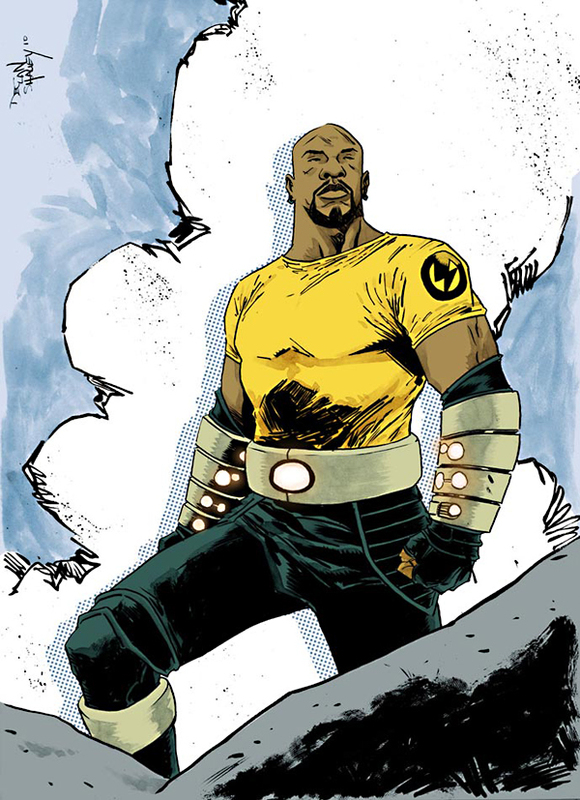 Dwayne was a founding member of the New Warriors and one of the finest martial artists in the Marvel Universe before he was killed before the Civil War event. A twin by birth Jericho and Brother Daniel were literal opposites as they grew up in their native Haiti. Gaining a scholarship he went to America to become a doctor and leave superstition and magic behind. When his brother was struck down with a Voodoo curse he returned to embrace his destiny and became brother Voodoo. 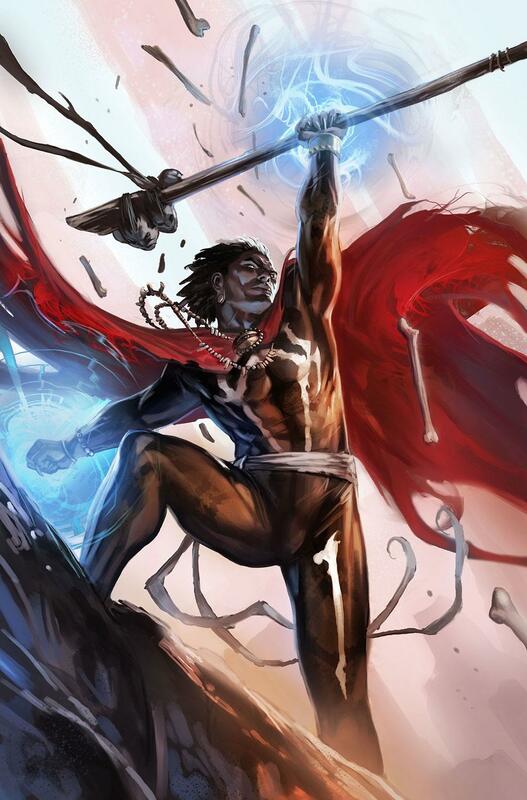 Often regarded as the most respected Voodoo user of the marvel universe he later became the new Sorcerer Supreme when Dr. Strange lost the mantle. Before his death he held all the vestiges of Sorcerer supreme and the staff of Legba making him the first in known history to hold both the titles at once. Curtis Metcalf was blessed with a prodigious intellect in the art of computing, electronics, metallurgy. At a young age Edwin Alva took him under his wing and Curtis’ creations single handedly made Alva billions. Upon realizing that his father figure was corrupt and he was held in little regard he rebelled. Creating the identity of Hardware he waged a one man war against Alva and his corrupt company. 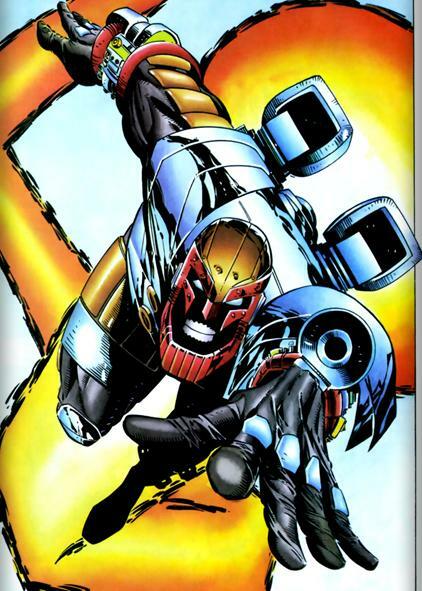 Over the course of his career he helped Icon repair his ship, befriended Rocket and supplied technology to Static during the new 52. Isaiah was a model soldier who was drafted into a secret project to remake the super soldier formula during WWII after Captain America/Steve Rogers was presumed dead and the Super Soldier formula with him. As the only viable option and only successful test subject he fought valiantly for his country. Bradley became an underground legend amongst the Black community, their Captain America. During his later years he met many famous people including Malcolm X, Richard Pryor, Gen. Colin Powell and many others. His legacy continues through son Josiah X and grandson Patriot. 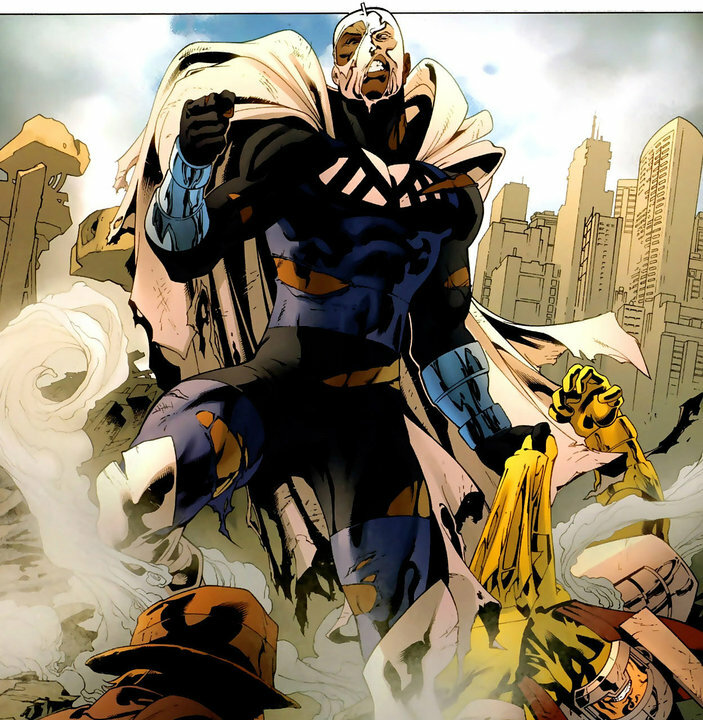 The Blue Marvel is an African-American superhero who was asked to retire by President Kennedy for the Civil Rights movement. 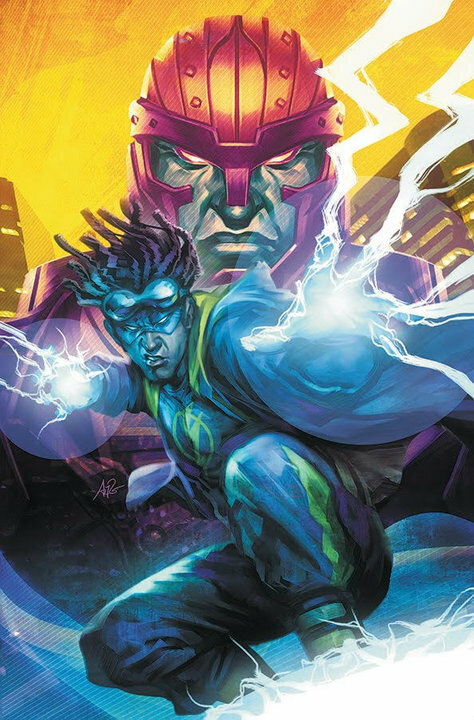 Blue Marvel is forced out of retirement to face his greatest foe and former best friend, Anti-Man. Despite being one of the most powerful beings on Earth he has been used rarely since his debut in 2009. Monet St. Croix, also simply known as M, is one of the more powerful new mutants of her generation with powers eerily reminiscent of Kryptionians under a yellow sun. Monet also has the distinction of coming from a family filled with mutants, from older brother black supervillain Emplate/Marius St. Croix and twin little sisters Claudette and Nicole. She was involved with the now cancelled X-Factor Investigations and was a former member of Generation-X. Jackson king is the first son of supervillain Despot and older brother to Strafe. 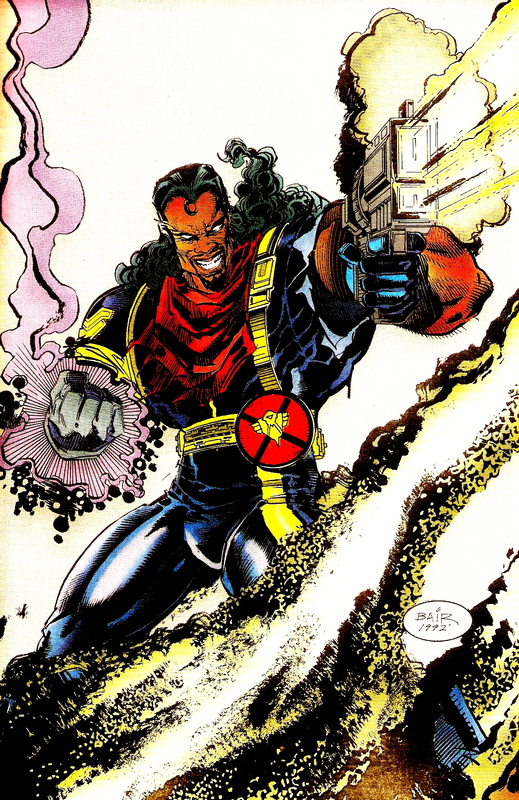 Throughout his life Battalion has been a founding member of Stormwatch before leading the team. Battalion is classified as a high level psionic seedling granting him the ability to read minds, cast illusions and generate Psychokinetic force bolts. All these abilities are enhanced by his Cyber Trans suite easily making him comparable in power to the X-men’s Professor Xavier. Crispus Allen was an upstanding police officer who moved from Metropolis to Gotham city where he was killed by a corrupt cop. Reborn as the host for the living embodiment of God’s wrath he was instrumental in the Final Crisis conflict and in freeing Hal Jordan from Parallax during Blackest Night. He reappeared during Brightest day but has not appeared in the new 52 yet. Sound off below or on our trusty facebook page with your thoughts! You missed 16 so you have one more!! I can’t argue with none of that! I knew the fans would get it right. And look,no blank man! 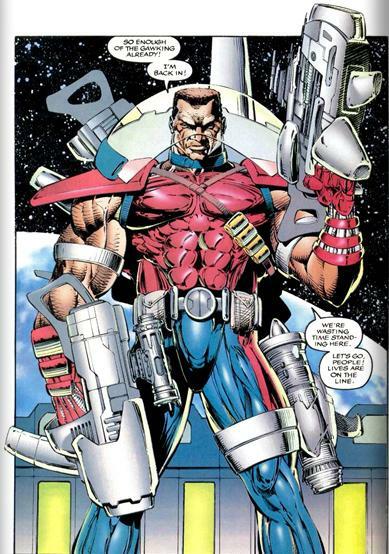 In addition to those, there is also Black Goliath, Deathlok, Steel, Mr. Terrific II (Michael Holt), Firestorm II (Jason Rusch), Black Vulcan, and let’s throw Image Comics’ fan-favorite zombie killer Michonne from “The Walking Dead” in there, too! Would have loved to have Bill Foster the Black Goliath in the top 30. Not enough votes to land him in the top thirty unfortunately. I know it’s all a matter of taste, but I would strongly argue that Both Storm and Luke Cage should outrank Black Panther. 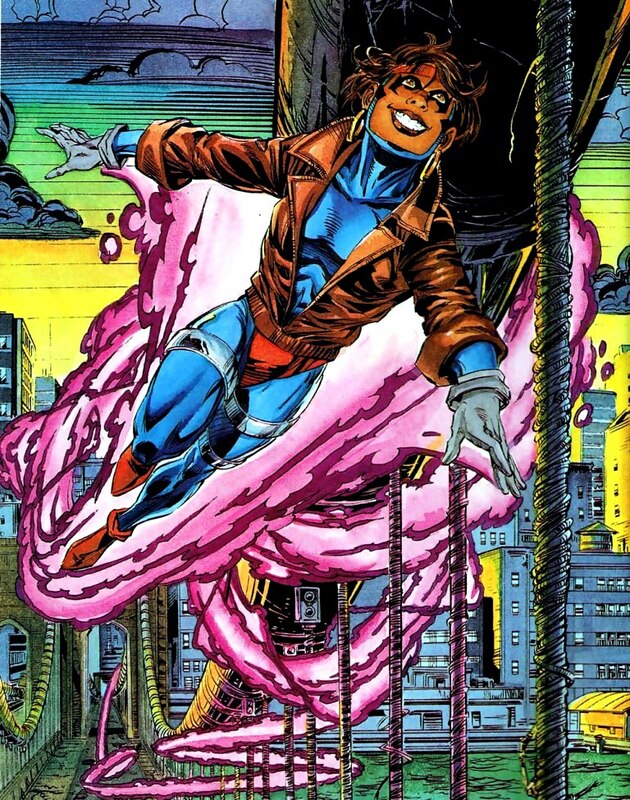 Didn’t even mention that the Falcon is the first African-American superhero in mainstream comics. No steel of DC comics? Man I thought he might make it. I’m surprised Brother Man didn’t make an appearance. Pretty much how I thought it would turn out… Good top 30 and can’t disagree with the ratings! Pretty dope list. Would have like to have seen Steel, There’s no bigger Icon fan than me, but he’s not Superman’s equal. Glad to see Panther where he belongs! No Shadowhawk? Really? Dang. Good list, otherwise. Good list. Although I may not agree with each ranking, just about all of the characters deserve to be included. I really love all of the Milestone love shown, except for two minor quibbles. One, I think Rocket should have been ranked higher than, or at least on par with Icon. There would be no Icon without Raquel and she was a true source of inspiration. Two, I would have loved to have seen Wise Son make the list. He was a great, realistically flawed leader of the Blood Syndicate and he was the first member of the Nation of Islam in comics.